The Panthère Joueuse by Cartier is a lovely concept, superbly executed in terms of both jewellery and movement. 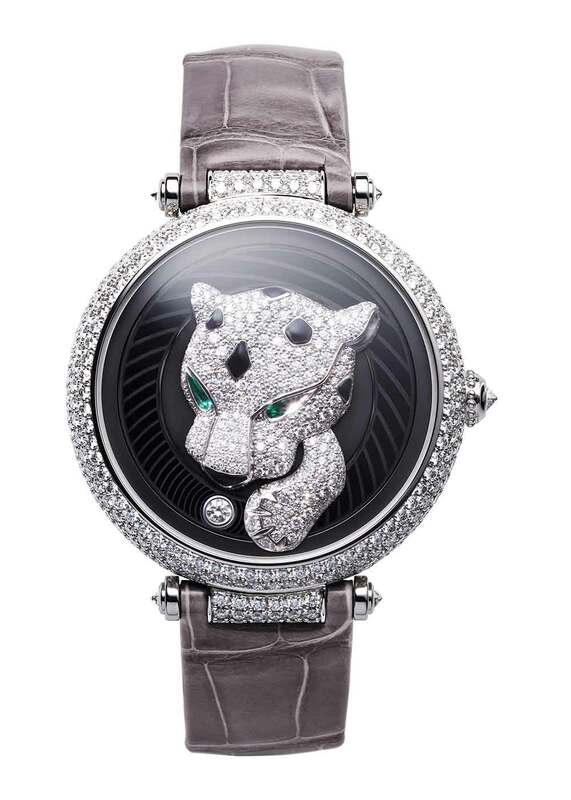 A panther cub in diamonds, with two emerald eyes and touches of black in lacquer, rotates around the dial, the paw indicating the minutes. It is chasing after a ball, a single diamond, that marks the hours. It is powered by a new movement, calibre 9918 MC, designed by Carole Forestier-Kasapi, Head of Movement Creation, and her team. Usually a watch movement has to provide sufficient power to move a few tiny, superlight hands. In this watch, the hour hand consists of a diamond on an annular disc, while the panther is on another disc taking up the central part of the dial. Both are far heavier than normal hands, and so the new movement has somehow reduced total friction to a degree that enables it to reach a power reserve of 48 hours. An interesting feature is the design of the annular disc, with circles apparently centred on the diamond ball that create an optical illusion as well as focusing attention on the diamond. The case is 40 mm in diameter, in white gold, 12.05 mm thick, set with diamonds, water resistance 3 bar. The crown is also set with a diamond, likewise lugs and buckle. In total the panther comprises 185 carats of diamonds. 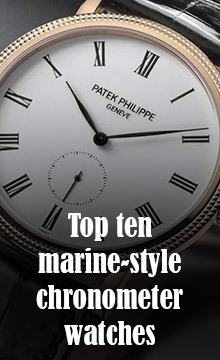 The piece has a sapphire caseback revealing the movement. Calibre 9918 has 214 components and runs at 4 Hertz (28,800 vibrations per hour). The watch has a strap in white alligator with white gold pin buckle. The watch is available in two versions. HP101105 in white gold, with the diamond-setting as shown here, costs €150,000 excluding VAT, and €183,000 inclusive of tax (price with VAT depends on the market). Another version, HP101106, costs €265,000 excluding VAT, and €324,000 inclusive of tax.